Bisphenol A (BPA) is an important industrial chemical used as a plasticizer in polycarbonate and epoxy resins in the plastic and paper industries. Because of its estrogenic properties, BPA has attracted increasing attention from many researchers. 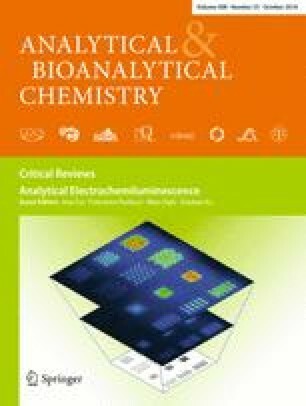 This review focuses primarily on analytical methods for BPA detection that have emerged in recent years. We present and discuss the advantages and disadvantages of sample preparation techniques (e.g., solvent extraction, solid-phase extraction, molecularly imprinted polymer solid-phase extraction, and micro-extraction techniques) and analytical methods (e.g., liquid chromatography, liquid chromatography−mass spectrometry, gas chromatography−mass spectrometry, capillary electrophoresis, immunoassay, and several novel sensors). We also discuss expected future developments for the detection of BPA. The authors acknowledge financial support from the National Natural Science Foundation of China (no. 21567027), the Scientific and Technological Project of the XPCC (no. 2015AB009), and the Science & Technology to guide project of Xinjiang Academy of Agriculture and Reclamation Science (no. 76YYD201501).